Wedeterna, an online platform for self-arranged marriages, has raised an undisclosed amount in angel funding from Singapore-based entrepreneur Avish Joseph. The startup’s founder Saneesh Sukumaran told TechCircle that the company will use the money to acquire customers, develop its products, and build Android and iOS apps. Founded in 2015 and headquartered in Kochi, the platform is owned and operated by Wedeterna Matrimonial Services Pvt. Ltd. It claims to bring a fresh approach to arranged marriages by limiting the involvement of parents. Sukumaran has thus far invested close to Rs 45 lakh in the company. He said the firm will seek seed funding of $500,000 (Rs 3.25 crore) next year. Wedeterna has around 10,000 registered users and is targeting upwardly mobile customers from urban areas. He said that Wedeterna will start a wedding gift store in the next quarter. The firm is looking to start offering these services from early next year. Wedeterna’s direct competitors in this space would include bigger players such as Matrimony.com, which is publicly listed, and Shaadi.com. Angel investor Avish Joseph is the founder-director of StratAgile Pte Ltd, a Singapore-based digital marketing company which was acquried by London-headquartered Chime Communications. He is an alumnus of Indian Institute of Technology-Bombay (IIT-B). 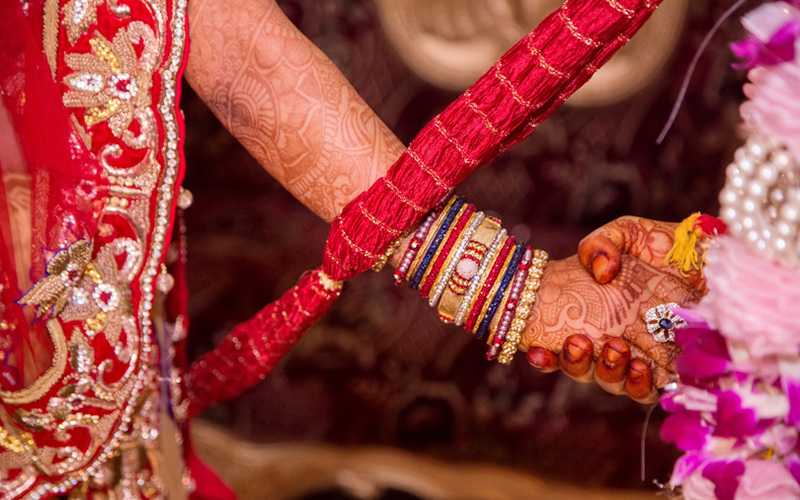 The market for wedding-related services is estimated to be worth $40 billion in India, according to US-based venture capital firm CerraCap Ventures. There are several startups which seek to connect couples with wedding planners, but not much is known about how they are faring so far. In January, Mumbai-based Sitara Digital Ventures, which runs marriage ceremony solutions portal The Wedding Brigade, raised $1 million (Rs 6.35 crore) in a pre-Series-A round of funding led by early-stage venture capital firm Blume Ventures. Weddingz.in, an online marketplace for wedding venues and vendors, had raised an undisclosed amount in pre-Series A funding from consumer-centric venture fund Sixth Sense Ventures in early 2016. Before that, the startup had raised about $1 million (around Rs 6.7 crore) in angel funding from a group of investors, including Google India’s managing director Rajan Anandan in December 2015. In February 2016, Hyderabad-based With Ease Technologies India Pvt Ltd, which operates an integrated wedding services provider AppilyEver.com, had raised $400,000 (around Rs 2.75 crore) in funding led by Varun Aggarwal, founder and chief operating officer of Univariety, and other angel investors. In April 2016, New Delhi Television Ltd (NDTV) launched its wedding solutions platform Bandbaajaa.com. In December 2015, CerraCap had invested in NDTV’s subsidiary Special Occasions Ltd under which the portal is housed. In September that same year, wedding planning portal WedMeGood raised seed funding worth Rs 2.7 crore ($407,200) from Indian Angel Network.